White Fur Ears On A Head Band. Approximately 5 Inch Tall. 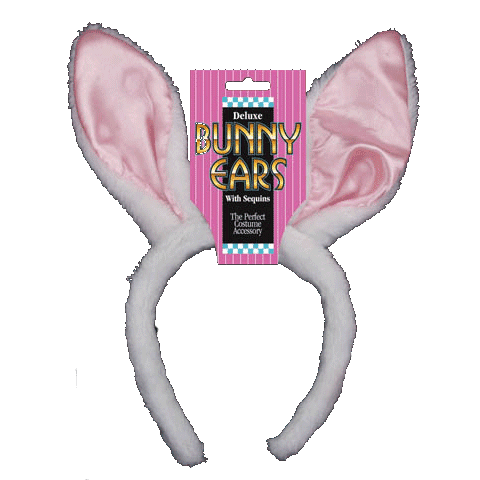 Pink Satin Lined Ears.